The	Department	of	Information	and	e-Government for	the	Government	of	Sharjah,	introduced its	e-Government portal,	to	offer	information	on	Sharjah	e-Government and	its	proposed	eServices. The	new	services	portal	will	enable	Sharjah's	citizens,	businesses,	and	government	bodies	to	interact	with	government	agencies	24	hours	a	day,	7	days	a	week. The	portal	will	also	offer	rich	informational	content	to	individuals	(citizens,	expats,	and	visitors)	and	businesses	operating	within	the	emirate	of	Sharjah	regarding	the	activities,	service	offerings,	and	major	events	of	the	various	Sharjah	Government	departments. Neologix	designed	and	developed	an	android	app	for	Sharjah	E-Government	Majlis	Management	Application	integrated	with	Google	Glass,	which	is	a	wearable	technology	with	an	optical	head	mounted	display,	in	which	wearer	can	communicate	through	voice	commands. This	android	app	is	designed	with	an	intention	to	help	the	persons	visiting	the	GITEX	(Gulf	Information	Technology	Exhibition).With	the	exquisite	event	stand	that	Sharjah	e-Government	possessed,	it	had	a dome-type venue with numerous Majlis (tables with provision for meeting and discussion) that	spanned over two floors. With	the venue having three reception areas	for coordinating	the	event	stand	premises,	Neologix	assigned varied roles for reception users	like	super administrators, and	so	on. The	system	provided	the	client	with	the	facility	for	the	department users to book and manage their sessions independently. Through	this	application,	Neologix	could	achieve	for	the stakeholders	the	means	of	receiving the	event details in realtime via Google Glass, real-time	SMS	and	email	broadcasting. Easy	and	seamless	working	with	voice command integration. Responsive design	that	seamlessly	adapts	to	desktop	and	mobile	devices. Comprehensive	information	including details	like	department	name, presenter, topic, current	participant,	session details	like	type,	start	time,	and	duration	left. 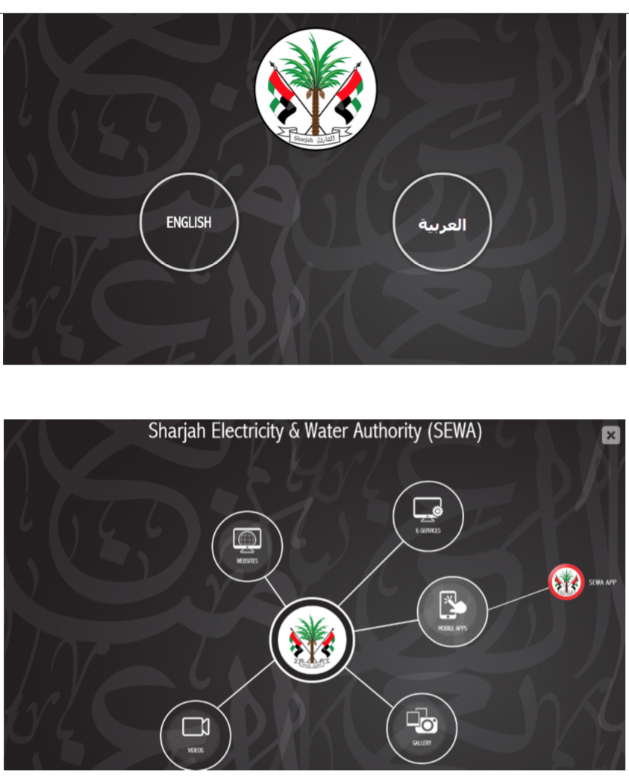 The	Department	of	Information	and	e-Government for	the	Government	of	Sharjah,	introduced its	e-Government portal,	to offer	information	on	Sharjah	e-Government and	its	proposed	eServices. The	new	services	portal	will	enable	Sharjah's	citizens,	businesses,	and	government	bodies	to	interact	with	government	agencies	24	hours	a	day,	7	days	a	week. The	portal	will	also	offer rich	informational	content	to	individuals	(citizens,	expats,	and	visitors)	and	businesses	operating	within	the	emirate	of	Sharjah	regarding	the	activities,	service	offerings,	and	major	events	of	the	various	Sharjah	Government	departments. Movie type presentation in interactive multi-touch screens with various screen resolutions varying from 32 to 46. 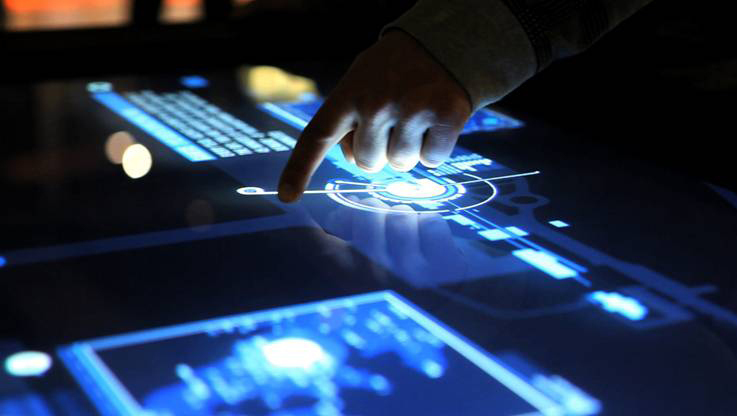 Cross platform and adaptive implementation for various display devices.